Ludhiana, September 25, 2018 (Team ONI): It’s time to explore the Indian epic Mahabharata with a whole new dimension. In its brand new offering StarPlus presents KarnSangini a show that sightsees an unexplored facet of mythology. The tale of Mahabharata is often associated with bravery, virtues, politics and greed, but this year, the spotlight will be on pure, divine, courageous love. StarPlus raises the curtains on a brand new genre – mytho-romance – with Shashi and Sumeet Mittal’s ‘KarnSangini’. It narrates the never-seen-before tale of a royal princess Uruvi who chose her love and stood by it against all odds. The princess of the prosperous kingdom of Pukhya is promised by her mother to Kunti for her son, warrior prince of the Pandavas – Arjun. However, things change with the arrival of Karn, the man with a golden armour, shiny hair and daunting personality who challenges the supremely skilled combatant Arjun. Son of a charioteer, Karn leaves everyone astonished with his moves, but Uruvi loses her heart out to him at his very first glance. Little did she know that in the path to get her man, she would have to lose everything that she has. Get ready to witness an epic love triangle set in 10th Century BC with KarnSangini, a fictional story inspired by Kavita Kane’s famous book Karna’s Wife: The Outcast’s Queen. Watch as the courageous Uruvi challenges the caste system of the society; leaves all the luxuries and privileges of a royal life and accepts a humble living just to be with the man she loved. 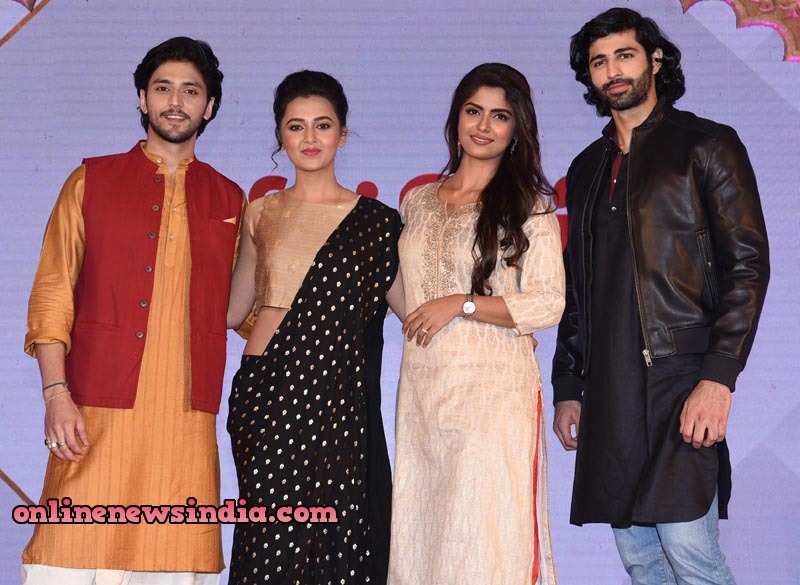 The show embraces a stellar star cast – Tejaswi Prakash Wayangankar, Aashim Gulati, Kinshuk Vaidya, Sayantani Ghosh, Madirakshi Mundle and Paras Chhabra in prominent roles.